An urgent application by the trio to have the criminal proceedings against them halted was removed from the roll after the agreement with the NPA boss. Three former top SA Revenue Service (Sars) officials who are due to appear in court on corruption charges have launched an urgent application to stay the criminal proceedings against them. An application by former Sars deputy commissioner Ivan Pillay, former head of the high risk investigation unit Johann van Loggerenberg, and Andries Janse van Rensburg was yesterday removed from the urgent court roll in the High Court in Pretoria following an agreement between the three and National Director of Public Prosecutions Shaun Abrahams. The three, who are due to appear in the Pretoria Magistrate’s Court on Monday, wanted the court to stay their criminal trial pending the outcome of an application to force Abrahams to reconsider the decision to prosecute them, or any review application which may follow. They said the application became necessary as Abrahams had simply ignored a lawyer’s letter in which they demanded the right to be heard and for him to reconsider the charges. The charges against them relate to a so-called rogue unit within Sars allegedly established to spy on the National Prosecuting Authority which, at the time, was prosecuting former police commissioner Jackie Selebi and alleged “whistleblower ” Hendrik Lombard. They said the reports related to “a plethora of false and defamatory media reports” in 2014 and 2015 emanating from Sars and former Sars and intelligence officials that sought to falsely implicate them in a long list of very serious allegations, which they have “consistently and vehemently” denied. Van Loggerenberg said in an affidavit that the summonses, which resulted from a complaint laid in May 2015 by now suspended Sars commissioner Tom Moyane, were only served on them more than 18 months after the completion of the investigation. He said it appeared from Abrahams’ answers to the parliamentary standing committee on public accounts that the decision to prosecute them was made by the North Gauteng Director of Public Prosecutions and the Special Director of the Priority Crimes Litigation Unit. Abrahams had played no part in the decision, which was made without their warning statements being completed or consideration of their version, and could not, therefore, have applied his mind to the facts, he added. 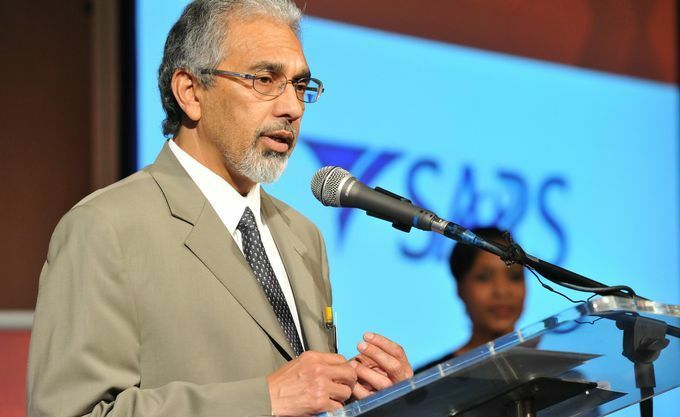 Van Loggerenberg said there were reports that Pillay might be reinstated as a senior Sars official to restore public confidence, but this could not happen while he was facing criminal charges.